WCCO Belting, Inc. is a leading manufacturer of specialized rubber products. WCCO thrives on the ability to think beyond the belt. Rubber is our game, and through vertical integration we engineer our products starting at the raw material level in order to ensure a quality product both inside and out. Then our exclusive TRUhesion™ manufacturing process produces a level of quality that can't be mimicked by any competitor and it is why we are sought after by companies all over the world. WCCO's engineering capabilities, custom products, and various services are profitable solutions for our customers. If we didn't have a passion for rubber products, we wouldn't have been around for the last sixty years. Manufacturing rubber belting is our sole focus and we have tailored our processes to ensure we are working as efficiently as possible. Thanks to our experience, we can offer high quality, American-made rubber products at prices comparable to the rest of the market. To be responsive to the just-in-time production needs of our customers, we manufacture custom products in short-run order quantities. Through non-stop monitoring of our raw material pipeline and substantial control of the manufacturing processes, WCCO is quick to react to customer requests. Our flexibility and adaptability make us a valuable supplier and partner. 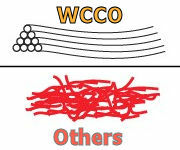 How do WCCO's products redefine performance? We don't underestimate the belting basics: rubber and fabric. Do you know what your belting is made of? You should, because a flawed fabric weave or inaccurate rubber recipe could lead to belt failure in the middle of harvest season. A Belt and all of its components, in conjunction with the defined product specifications, impact the success of your belting operations. When we talk with customers about belt construction, we begin with the raw materials. Procuring the raw materials from experience vendors that meet our strict quality control requirements gives WCCO fundamental visibility and control over the performance properties of the finished products we manufacture. Belting is our passion, our forte, and if you need high quality rubber products we can provide you with solutions. Contrary to common believe, the rubber component of a belt does not provide belt strength. it does provide fabric production and friction when required, as well as resistance to abrasion, oil, file, static and electricity. And WCCO sources it's rubber from trusted vendors who put strict focus on quality and consistency. The most common design flaw WCCO's engineers uncover is that the belt contains superfluous amounts of rubber. A belt with excess rubber will be heavy, costly and often has lower performance properties than a thinner belt that is manufactured with a stronger fabric. When WCCO starts working with a customer it begins with an investigation into the specifications of the current product the customer is using in order to determine the cause of the product's poor performance. 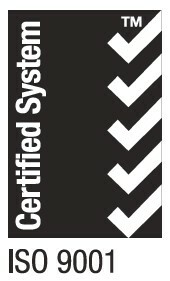 We don't want to just sell you another belt, we perform the necessary research to provide you with a product solution. Fabric is the most important component of a belt. The structure of the fabric impacts puncture resistance, tensile strength, tear resistance, and hook retention. WCCO sources fabric from only the highest quality fabric manufactures in the world. And since each application has its own unique set of specifications, we pride ourselves on our ability to internally design our own custom fabrics for our rubber products in order to provide you with a strong performance in the field. Instead of using the market standard spun fabric, WCCO sources high quality filament fabrics for our belt constructions. Filament fibers are long, continuous man-made strands, and spun fibers are composed of short length wool or cotton fibers. Fibers are twisted together to form the yards, which are then woven together to create the fabric. The continuous, uniform filament yarns, which are similar to the construction of fishing line, are significantly stronger than it's spun counterpart, which is a weaker fabric due to the short, non-uniform length of it's spun fibers which can be compared to the structure of knitting yarn. WCCO vertically integrated with a rubber calendering company in Arlington, Texas, in 2006 to significantly tighten our level of quality control, ensure more stable pricing, and shorten lead times. What is calendering? It is the process of applying rubber to rolls of fabric through heat and pressure by means of skim coating or friction coating. 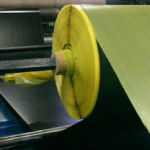 Friction coating is the process of pressing raw rubber into the fabric, not adding to the fabric's original thickness, for fabric reinforcement. 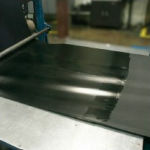 Skim coating is the process of applying a layer of rubber on top of the fabric, which adds to the fabric's original thickness, for fabric protection and increased durability. The engineers at CSI Calendering, In. work hand-in-hand with our WCCO teams in North Dakota. As a custom product manufacturer, WCCO's short supply chain is very beneficial to our product development process. We have full visibility throughout the design and testing phases and can expedite projects when needed. 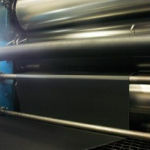 Raw fabric is fed into the calender and passes through rubber coated rollers that apply it with a skim or friction coating. Rubber coated fabric is fed out of the calender. Pictured here is skim coated fabric. The rubber coated fabric is then rolled with yellow plastic to prevent sticking during transport to WCCO. 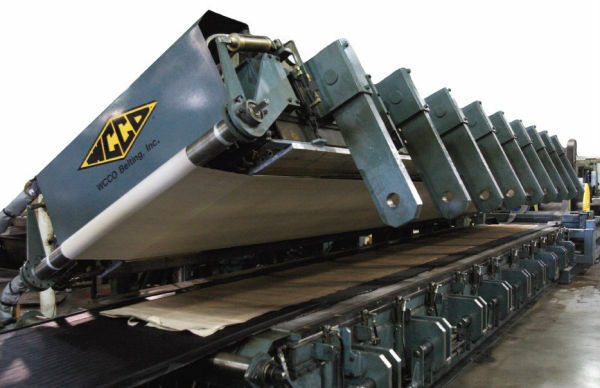 Due to WCCO's TRUhesion™ manufacturing process, each of our vulcanization presses, rubber extruders, and numerous other types of equipment within the facility have been custom-built. Our operations and engineering teams internally tailor the equipment to meet the product quality standards our customers require and the operational and process efficiencies we strive to meet ourselves. 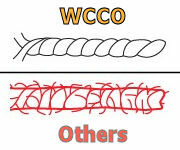 TRUhesion™ is WCCO's exclusive one-step vulcanization process that combines raw materials and unique components, such as cleats, through extreme heat and pressure to create ONE belt that holds similar properties throughout. Inside of the press, the cleats adhere to the belt carcass using the beauty of rubber science and the benefit is increase belt durability due to reduced chance of delamination and cleat adherence. After manufacturing, our products are given an WCCO Diamond Number for traceability. It allows us to obtain specific manufacturing details of each individual product; this includes the date the product was manufactured and which employee team was responsible for its creation down to the batch of rubber and fabric roll picked before the calendering process. When our competitors buy raw material on the open market or import product, they lose visibility regarding product quality and consistency. Our ability to track problems back through the calendering process and raw material creation allows us to fully resolve any issues quickly. WCCO began the ISO certification process back in 1997, and today we are proud to be ISO-9001:2015 certified. Our company's commitment to quality is one reason we are the supplier of choice to businesses located all over the world. WCCO's product development engineers work to find innovative solutions to customer requests and are always busy dreaming up new rubber products that shape market trends. We have internal textile engineering capabilities and our engineering team works closely with WCCO's fabric vendors on new fabric designs and holds them to strict quality control standards. There are also several mechanical and manufacturing engineers on the WCCO team, as well as a manufacturing and process improvement engineer that is dedicated to continuously evaluating our equipment and monitoring our lean manufacturing processes.